I am sure everyone is aware that there are benefits to meditation in terms of creating calm and focusing. There are more than 75 scientifically proven ways in which meditation is healthy and constructive for each of us that you may have never thought of. So, while many have not given much thought to partaking in the practice if suggested, you may want to give it a second thought. It could be exactly the missing piece you have been looking for to create optimum health. Meditation is good for the mind, body, and our overall emotional well being. Meditation helps our body in a number of valuable ways. One of the most important is that is helps to maintain a strong immune system. It calms us and puts us at rest, which is the time and situation in which our immune system rebuilds itself. Something that we could all benefit from, meditation can help with energy levels. Just a brief meditation episode can rejuvenate us when we are feeling tired. Likebiofeedback , mediation can help us to learn to control our own blood pressure, heart rate, and breathing. If we develop these skills, we can have control over the amount of stress we put on our body, and quickly shut it down. Meditation is also great for individuals with asthma and other breathing disorders. As you learn to slow your breathing, relax your lungs, and allow air to flow more freely. Of course what list of physical benefits would be complete without the fact that meditation can help us sleep better? If we do it in the evening before bed, we set the stage for calm and relaxation, and prepare the body for a tranquil sleep. Since our body produces chemicals that rebuild our immune system, and modulate mood during sleep, it becomes a very valuable cycle. As you might imagine, meditation is a wonderful tool to build focus, concentration, and memory. Think of the focus and control of your mind that you need to properly meditate. It also helps to clear, or declutter, our mind, which helps us to access pertinent information more easily. When our mind is clear, and we have focus and clarity, we are better at problem-solving and critical thinking. We are able to see things without distraction, which gets us to solutions faster. This can be a real gift at work, and in our relationships. There are many ways to sneak in meditation at work, and it can really turn a day around if you struggling. Take the 15-20 minutes, and you will see that it is well worth your time. The fact that meditation is good for our emotional well-being may come as a surprise to no one. What may be a surprise is all the ways in which it is helpful. If we can master the art of meditation, we can decrease our stress levels, which reduces our anxiety and irritability. Meditation reduces impulsivity, which is of tremendous benefit to those with ADHD, or other concentration problems. As adults we need to have developed tools to work around these barriers, and meditation is a major tool for us to use. Meditation is also an amazing way to reduce levels of depression. If you combine meditation with positive mantras, and repeat this positive thinking over and over, eventually the thoughts will permeate. We will start to believe the positive and realistic thoughts, and banish the negative ones. Meditation helps prevent us from taking place in negative and addictive behaviors. If we are able to sit and meditate, instead of impulsively taking part in the habit, great things can happen, and welcome progress can be made. As you can see, meditation is of great benefit to each of us on a number of levels, and is a simple solution to many of the issues that ail us. While you may or may not buy into the idea that is can be so helpful to your overall well-being, it costs you nothing to try, and if it works, the effort will be well worth it. 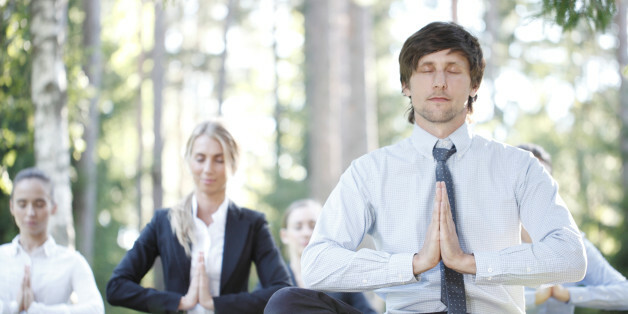 Meditation can be done in the morning, at night, and even at work. Try different techniques and tools until you find the form that works best for you. Once you do, you are likely to make it a regular part of your life.